My Monthly Beauty Favorites for September 2015! It’s been a couple months since I shared a monthly favorites post, but I’m bringing it back for September with 5 new products that have been my go-to during the past month. And I think will continue to be staples in my makeup routine for many more months to come! NYX Matte Lipstick in Whipped Caviar // $5.99, Ulta // I think I’ve owned this for over a year now, and while I still wear it throughout the year, it becomes a staple in my purse when the fall hits. It’s such a beautiful light mauve color that goes with absolutely everything. 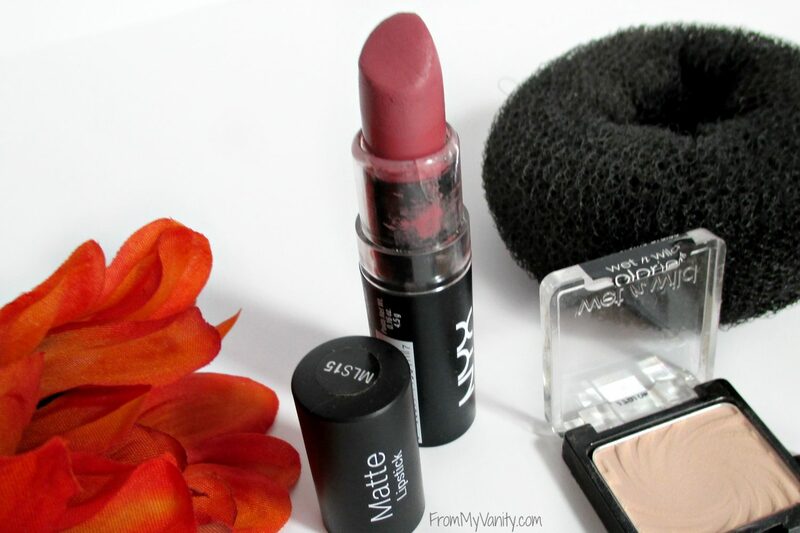 At the end of this post I’ve shared a swatch of the lipstick with you all, what do you think about the color? And for being a matte lipstick, it’s not super drying. I find that if my lips are in good condition, I can wear this all day without my lips feeling like a desert at the end of the day. It’s not a longwear lipstick, so when you eat it’ll come off, but if you’re just drinking or light snacking, I find the color holds up really well. Hype Hair Bun Maker in Black // $2.99, Walgreens // Okay, this one might seem a little odd, but let me explain. I don’t use this hair bun for my hair at all — I use it to wipe my eye brushes on whenever I want to switch colors. It’s like magic, lol. 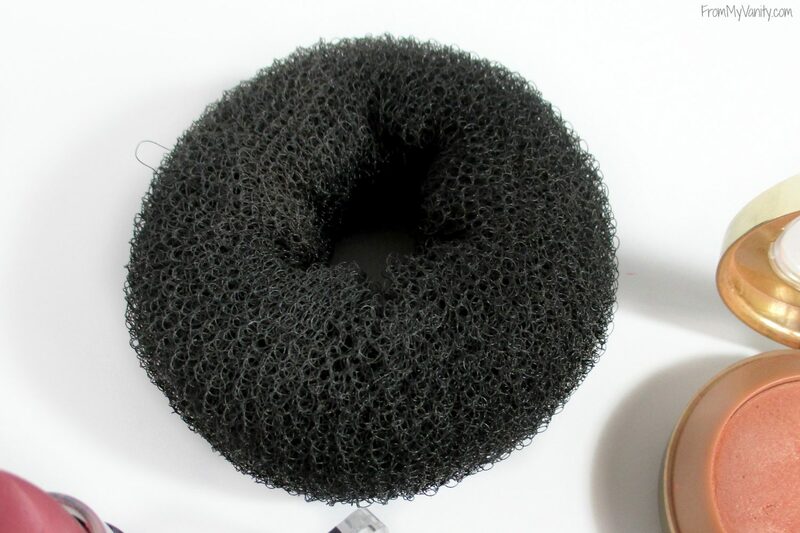 Just swirl your brush around this hair bun a few times and it will remove whatever color you had on your brush and you can now try a different color without having to worry about the colors muddying together. I love having this in my drawer for the days when my extra brushes are dirty and I’m in a hurry. 🙂 And for $3, it’s worth getting to try! Milani Baked Powder Blush in Luminoso // $7.79, Walgreens // I didn’t realize this, but I actually already featured this in a monthly favorites. But I actually lost touch with this blush over the summer and within the last month started reaching for it again. While I wouldn’t call it a fall blush at all, it’s just so pretty and natural on the skin, I know it’ll look great no matter what other colors I’m wearing on my face that day. This is the only color I’ve tried from this line, but I really need to try more! What shades would you recommend?? Wet n Wild Color Icon Single Eyeshadow in Cream Brûlée // $0.99, Ulta // I’ve been hearing about this little eyeshadow for over a year before I finally came across it and decided to give it a try. And now I totally understand what the hype was all about! The shadow is so buttery soft and pigmented! Every day I like to use a cream color all over my eyelid before I start creating any look, and I am constantly going back to this little shadow. If you haven’t tried it, you need to! It’s the best 99 cents you’ll ever spend! 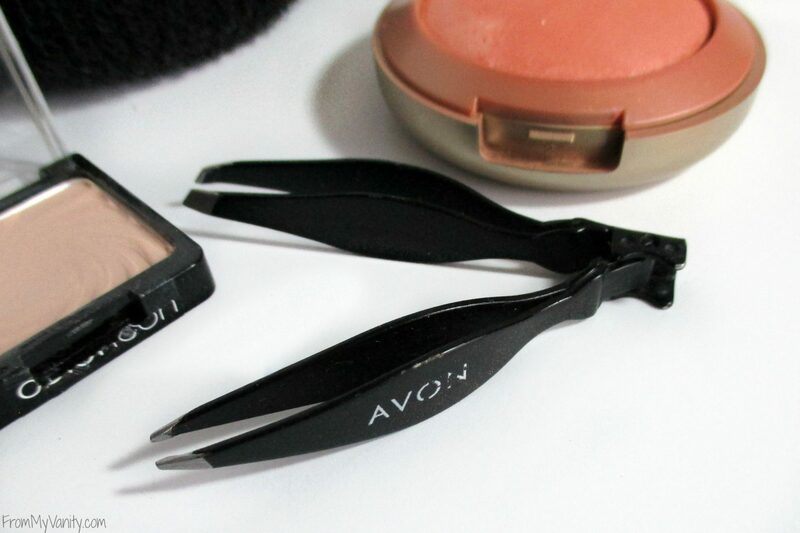 Avon Dual-Sided Tweezers // Not Available Anymore 🙁 // I feel so bad mentioning this, but since Avon hit it so on the head with this little tool, I’m hoping the one they currently sell is also as wonderful. But anyways, on to this product — this is the only tweezer I ever use anymore. I have about 2 or 3 other tweezers that I own, but none grab onto the hair as well as this one. And I don’t know about you, but I hate when I grab onto a hair….and then pull it and the hair slips right out. So annoying! And since this is a dual-sided tweezer, it’s great for travel and both sides work well. 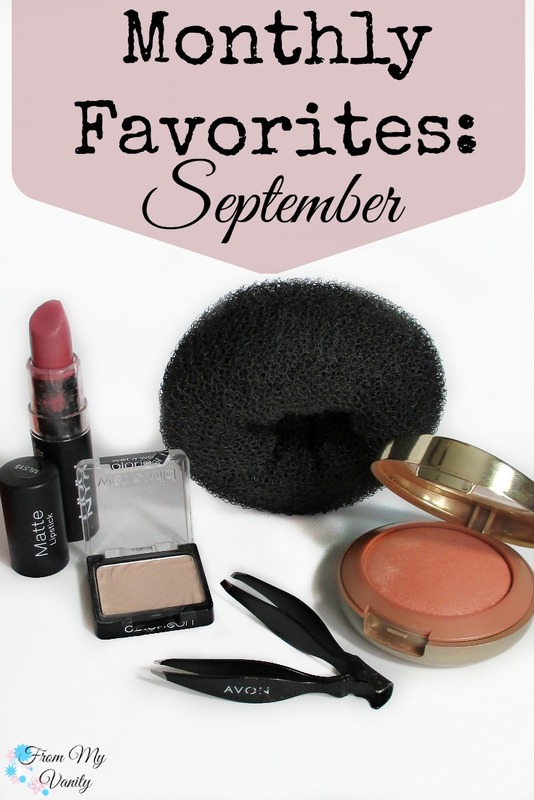 And there you have my September beauty favorites! Are any of these products your favorite? What Milani Baked Blush should I try out next? Let me know below! The products mentioned above were purchased with my own funds. I was not compensated in any way for writing this post. 🙂 All thoughts are 100% my own. What a brilliant idea, to use a hair bun to wipe eyeshadow brushes! I once did that on my shirt without thinking and went out. Will definitely get a hair bun. That lippie is so pretty and wearable! Oooh that Milani blush THO 🙂 I love Nutty shadow from WNW I have like 3 of them heheh. I also love the Cream Brulee, they make great shadows! Milani Luminoso is one of my favorite blushes, but where did I put it?? I love the NYX Whipped Caviar – what a great shade! Awesome idea with the sock bun! That’s seriously a genius move right there, ha! I’ll be picking that up and the Wet n Wild eyeshadow up asap because those are two items I could definitely use! I’ve never heard about that hair bun before! I use the blonde one in my hair for its intended purpose, but I had no idea it worked like that for makeup brushes! How cool! Great tip about the bun holder, I never would have thought to do that! I also adore that Milani blush, it’s the perfect peachy pink! Ohh, thanks for the recommendation — the next time I come across the Milani brand on sale, I’m going to pick up more of their baked blushes! 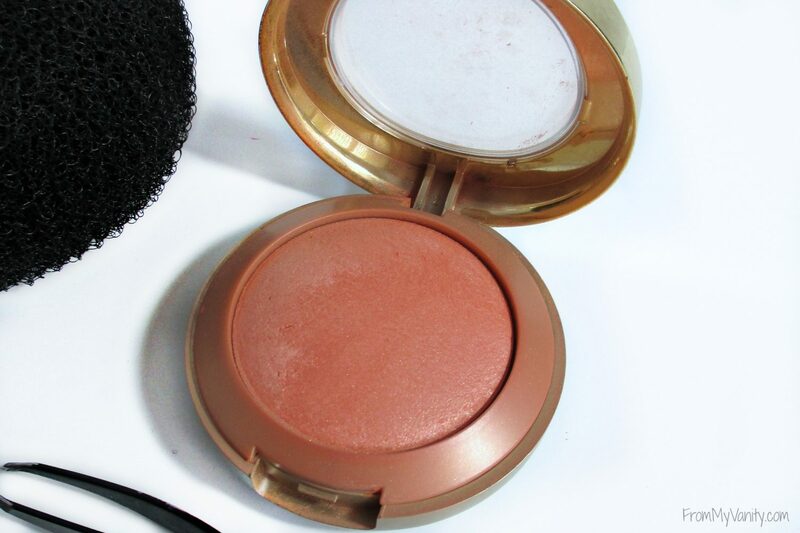 That Milani blush is one of my absolute favorites! I haven’t used my bun maker thing in FOREVER!! I cut my hair short about a year ago, and it’s still not really long enough to use the bun thing. 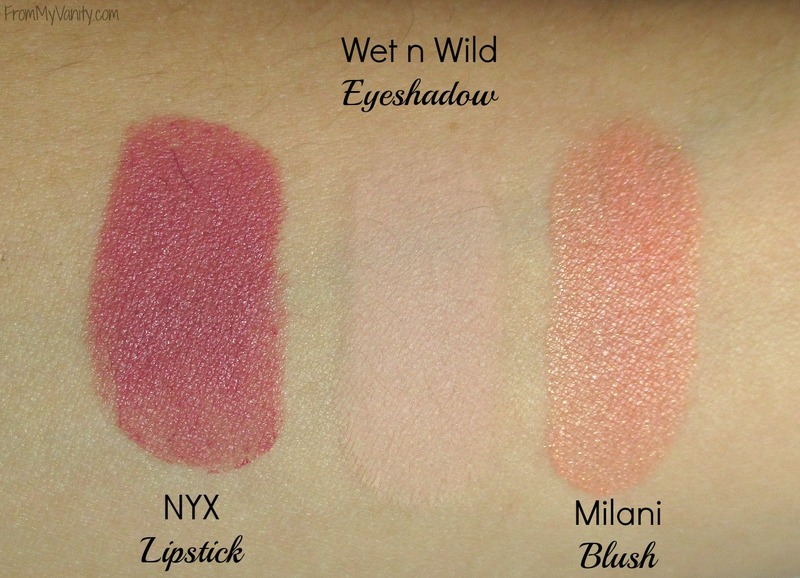 I loved that NYX lippie and the Milani blush, beautiful stuff. Yes, they’re both so lovely! My GOD that blush is gorgeous, I have seen it mentioned around the web before… I must find it. And what a great tip with that hair bun, I’m definitely looking for that on my next drugstore trip! Yes, you definitely need to try this blush out, girl — I think you’d love it!! I see some of my fave drugstore goodies here. I love Creme Brûlée! 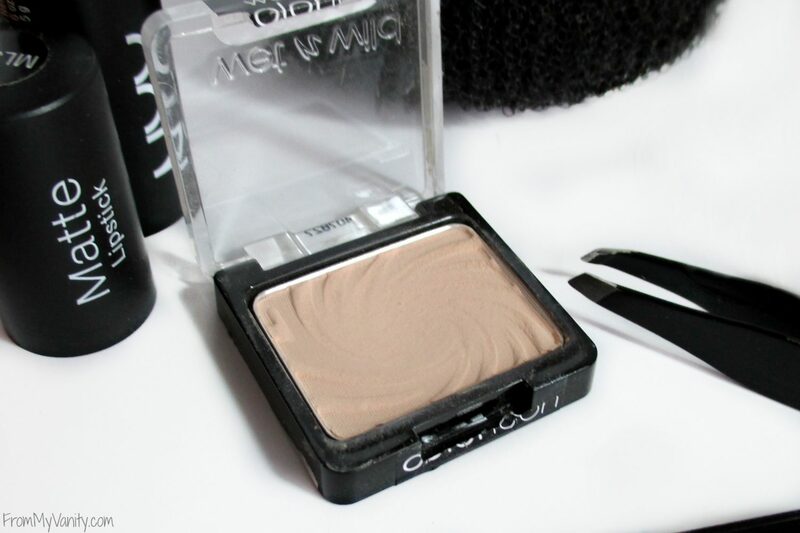 It’s one of the best shadows at the drug store. Oh my that luminoso blush is life!!! I’ve had milani baked blushes on my wishlist forever but they seem so expensive to find here in europe.. lovely favorites!! !